Since its construction in 1919, this building began as a meat market, but has spent most of its time hosting shoe stores until Riddles Jewelry chose the site. 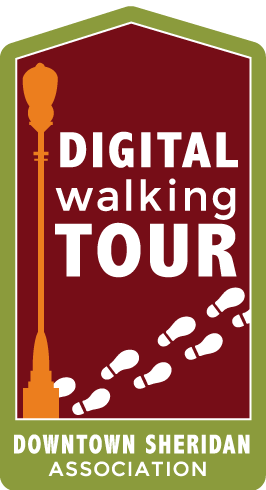 The Central Meat Market resided here until the 1940s, followed by Goar’s Shoe Store, The Cobbler, and Sheridan Shoe Company. 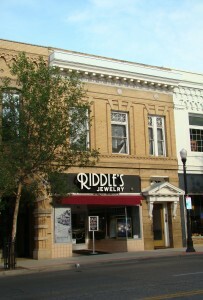 Riddles Jewelry moved into this location in the 2000’s.